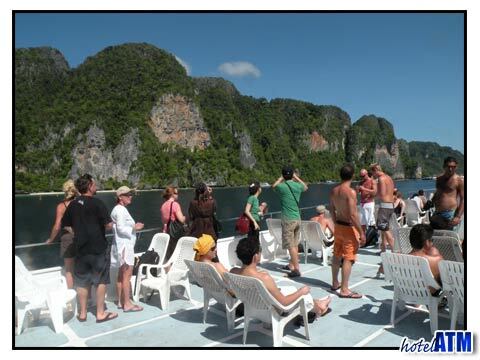 Scheduled Ferry are the cheapest and most popular method to get to and from Phi Phi Island. Ferry crossings between Phi Phi, Phuket and Krabi run every day all year round. The ferry to Koh Lanta is going only during high season, between November 01 to April 30. * Ferries to and from Koh Lanta are only going between November 01 and April 30. It takes 1 hour to get from Phuket Airport to the Phuket Ferry Pier (Rassada Pier) and 30 minutes from Krabi Airport to Krabi Pier (Klong Jirat). The morning Ferry from Phuket to Phi Phi also takes a short sightseeing trip around Phi Phi Ley Island with Maya Bay for about 30 minutes before arriving at Tonsai Bay where the main Phi Phi Pier is located. Once you arrive at Tonsai Bay, guests going to other parts of the island to the Zeavola Beach Resort and Spa, Phi Phi Island Village Beach Resort and Spa and Phi Phi Holiday Inn etc. will need to continue their journey, depending on the ferry time you have selected this part of your journey will be via a smaller ferry boat or private long tail boat. This is also included and pre arranged for your with hotelATM's transfer service. 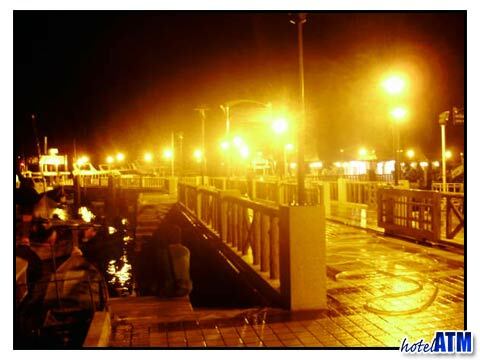 * Patong Beach, Kata Beach, Karon Beach and Phuket Town.